Jeff Riley will be the next Massachusetts commissioner of elementary and secondary education. Jeff Riley, just selected to be the next commissioner of elementary and secondary education, is not only a worthy successor to the late, great Mitchell Chester, but a man uniquely suited for the moment here in Massachusetts. An educator who has gotten impressive results at both the school and the district level, Riley may well have the skills required to reknit the fraying consensus on educational improvement in the state that has long led the way nationally. In the wake of 2016’s bitter ballot fight over charter school expansion, the education policy landscape in Massachusetts has taken on the aspects of a battlefield after a monumental clash, with entrenched troops too exhausted, suspicious, and skittish to undertake new efforts. At the department of education, the death of Chester has left things largely in status quo mode. In the state Senate, leadership’s reform impulse was muted even before the controversy that saw an acting president take the gavel. 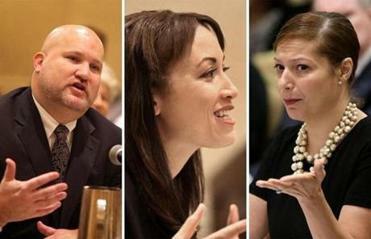 The Massachusetts Teachers Association, a union that under its previous president was a reasonable and constructive force, now seems intent on mobilizing, organizing, and inveighing against the accountability aspects of education reform. The MTA’s reform-rollback agenda has gone nowhere, but the union’s hard left lurch has further dampened legislative resolve. The Massachusetts Board of Elementary and Secondary Education recommended Jeff Riley as the next commissioner. Read: Massachusetts had the chance to break the glass ceiling in education. The board blinked. That’s the terrain Riley will inherit in his new job. Before he takes any big steps, Riley says, he will spend some months listening and learning, just as he did in Lawrence, where he has served as superintendent and receiver since 2012. But he hopes to move the conversation beyond the (nonunion) charter school versus (union) traditional school battles. Tough task, that. Still, since his days as transformative principal of the Clarence R. Edwards Middle School, in Charlestown, one of the first schools to move to a longer day, Riley has shown a remarkable ability to get things done. 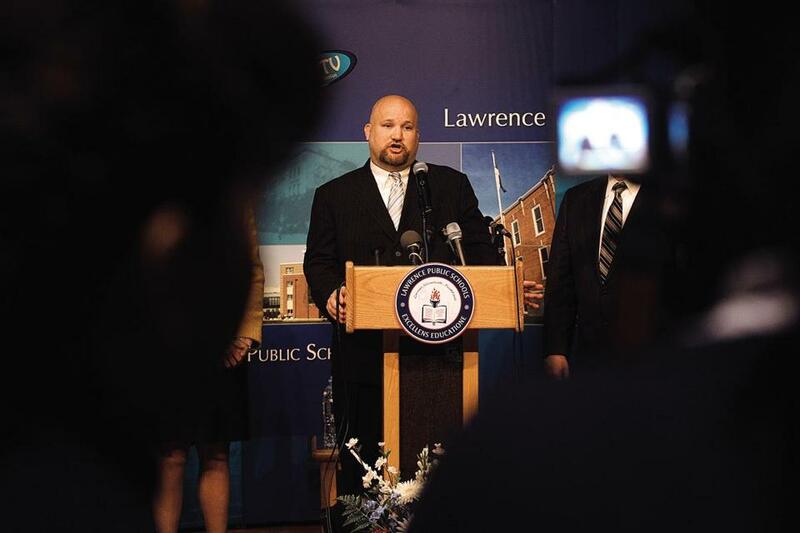 After a stint as deputy superintendent at the Boston Public Schools, he was selected to lead the turnaround in Lawrence, where the schools were in such sorry shape that the state had put the district into receivership. His hand strengthened by the state’s 2010 Achievement Gap Act, Riley fired half the principals — but kept 90 percent of the teaching corps — and extended the school day significantly, paying stipends for the extra teaching hours. He also initiated intensive vacation-week classes to give students an extra boost. At the center of it all was an “open architecture” approach that empowered principals and teachers at the school level, held them responsible for results, and brought in outside operators where needed. Those efforts paid off: 10th-grade English scores rose 24 percentage points, while math scores went up 18 percentage points. The high school graduation rate rose 19 percentage points, to 71.4 percent. The annual dropout rate fell by more than half, to 4.2 percent. Such a success was Lawrence that Randi Weingarten, president of the American Federation of Teachers, visited to help celebrate the district’s story. And though he had some tensions with the union there, Riley managed to make necessary changes without making everlasting enemies. “We came up with something I think people could live with,” Riley says. When I spoke to Lawrence Teachers Union President Frank McLaughlin a few months ago, he said pretty much the same thing. So he felt “pretty positive” about the turnaround experience, I asked? Hey, given today’s current atmosphere, if all Massachusetts’ educational stakeholders came to feel that way about the state’s school improvement efforts, who wouldn’t take that?